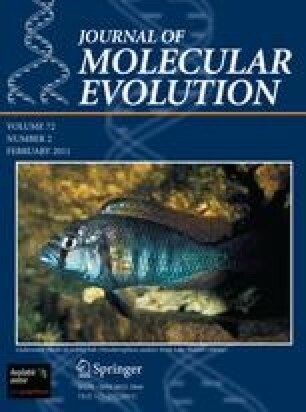 It has been suggested that speciation on the basis of sexual selection is an important mechanism for the generation of new species for East African cichlids, where male body coloration is one of the major discriminatory factors used by females in mate choice. To gain insight into the molecular basis of cichlid coloration, we studied the Lake Malawi cichlid Pseudotropheus saulosi, comparing transcription in the bright blue skin of males to the yellow skin of females. Our cDNA microarray experiments identified 46 clones that exhibited expression differences between the two sexes, of which five were confirmed to be differentially expressed by relative quantitative real-time PCR (qRT-PCR). This gene list includes a representative from the endosomal-to-Golgi vesicle trafficking pathway, Coatomer protein complex, subunit zeta-1 (Copz-1), which is known to be a critical determinant of pigmentation in humans and zebrafish. With the support of microscopic images of the skin of these specimens, we interpret the transcriptional differences between the blue males and yellow females. Here, we provide insight into the putative functional diversification of genes involved in the coloration of cichlids and by extension, on the evolution of coloration in teleost fish. The online version of this article (doi: 10.1007/s00239-011-9431-x) contains supplementary material, which is available to authorized users. We thank E. Hespeler, J. Haugg, S. Kuraku, and H.-J. Lee for helpful suggestions on the manuscript and the other members of the Meyer-lab and especially Julia Jones for technical assistance. The reading of the arrays was performed at Altana Pharma, Konstanz, under the supervision of P. Hubert and A. Buhmann. This study was supported by the Zukunftskolleg of the University of Konstanz to H.G., by the Frauenfoerderung (University Konstanz) to C.C., by the Landesstiftung Baden-Württemberg, the Center for Junior Research Fellows (University Konstanz) and the EU (Marie Curie fellowship) to W.S., and grants of the Deutsche Forschungsgemeinschaft to A.M.